Directly Front View Of Apple 15 Inch MacBook Pro Retina With.. Stock Photo, Picture And Royalty Free Image. Image 43260268. 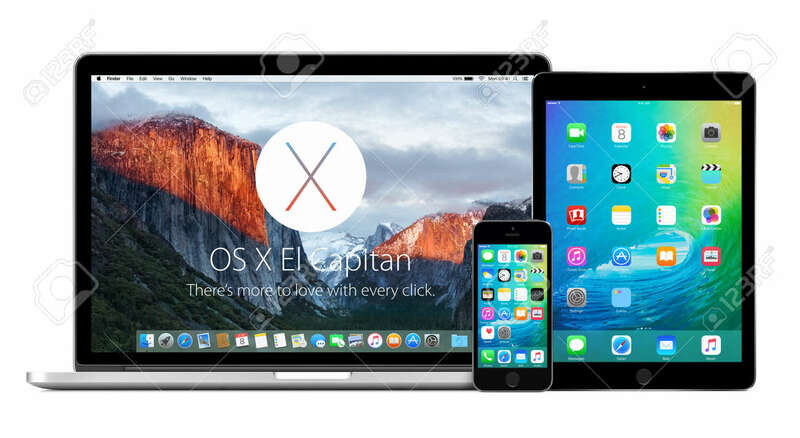 Stock Photo - Directly front view of Apple 15 inch MacBook Pro Retina with OS X El Capitan on the display, iPhone 5s and iPad Air 2 with iOS 9 on the displays. Isolated on white background. Varna, Bulgaria - February 02, 2015. Directly front view of Apple 15 inch MacBook Pro Retina with OS X El Capitan on the display, iPhone 5s and iPad Air 2 with iOS 9 on the displays. Isolated on white background. Varna, Bulgaria - February 02, 2015.